You can see the shimmer from theWink of Stella in the photo below. I covered the whole tree with it. And here are the two tags side by side - so different but I love them both!! I'm entering my tag in The Shabby Tea Rooms Challenge #264 - O Christmas Tree. 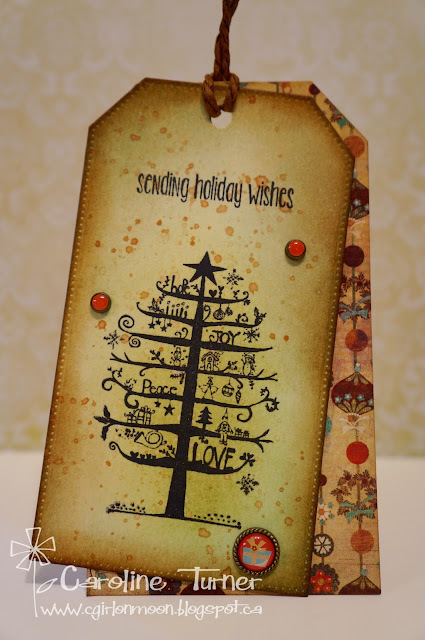 Labels: Christmas, Tags, The Shabby Tea Room Challenge, Unity Stamp Co.
Great image I love how you distressed. Tags will be my next order of business... 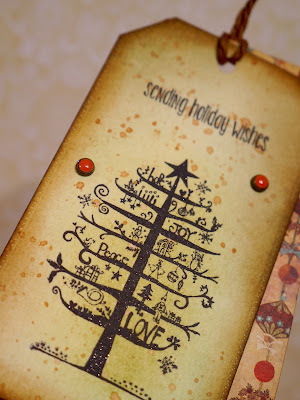 This is lovely with all of the sponging. Very vintage. Both tags are gorgeous. Amazing how one stamp can look so different. I love the inking and your embellishments really suit your tag. 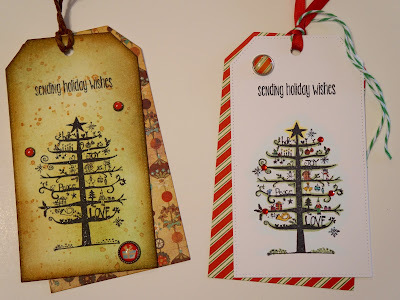 And I love the double tag look, I've made a few like that too!